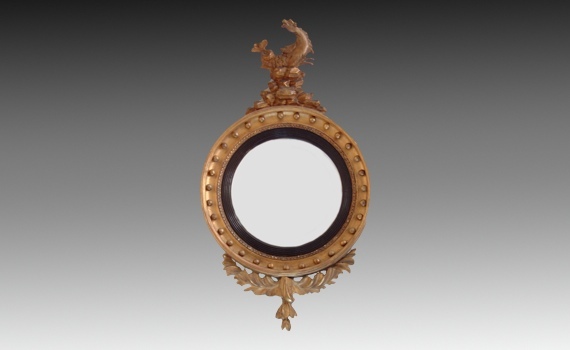 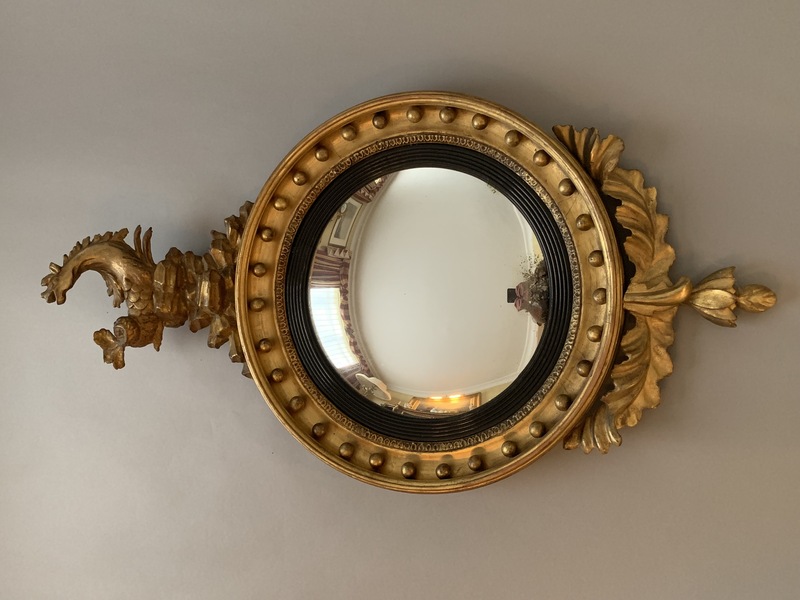 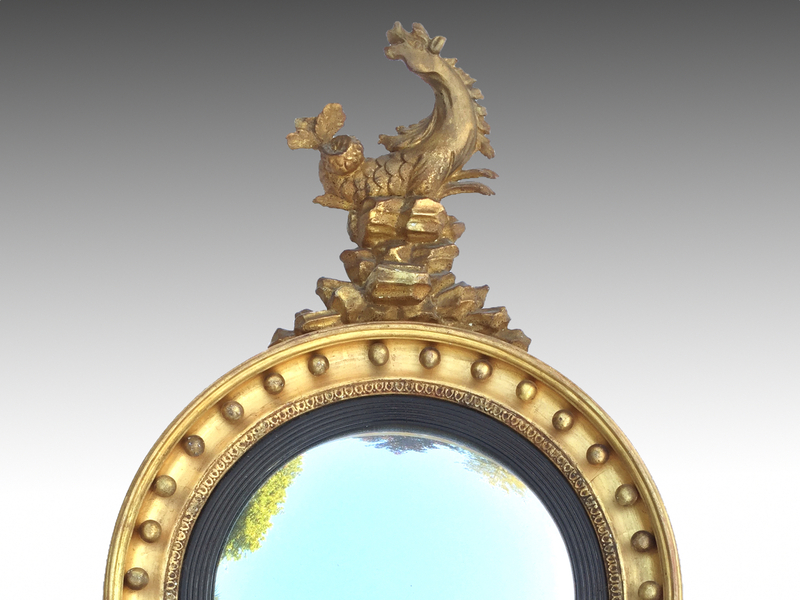 A Regency Giltwood convex wall mirror. 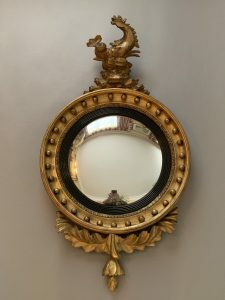 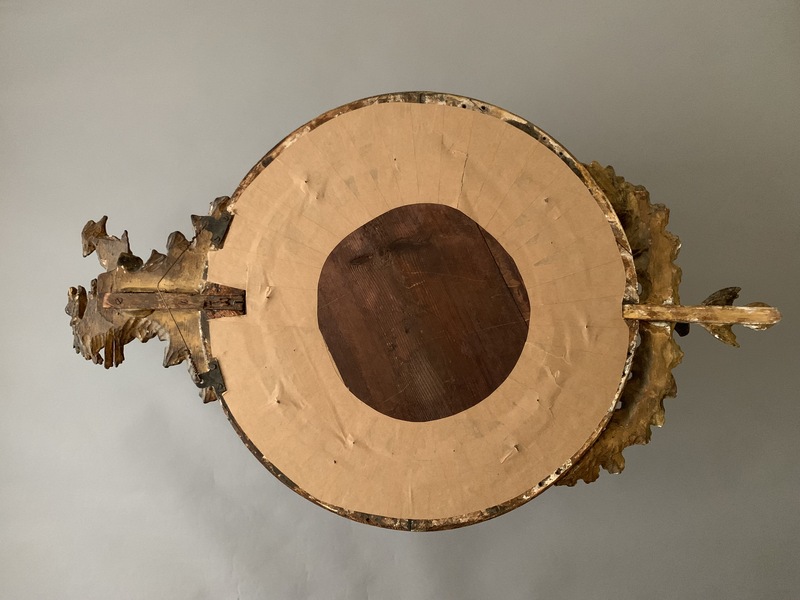 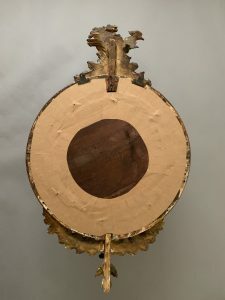 The original plate within ebonised reeded slip, inset canon ball circular moulded frame, surmounted by a carved hippocampus on a rockwork mound, the base with carved acanthus leaf. 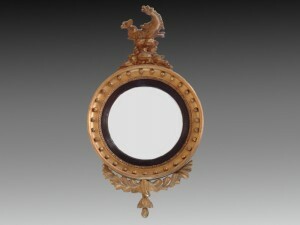 Original gilt. 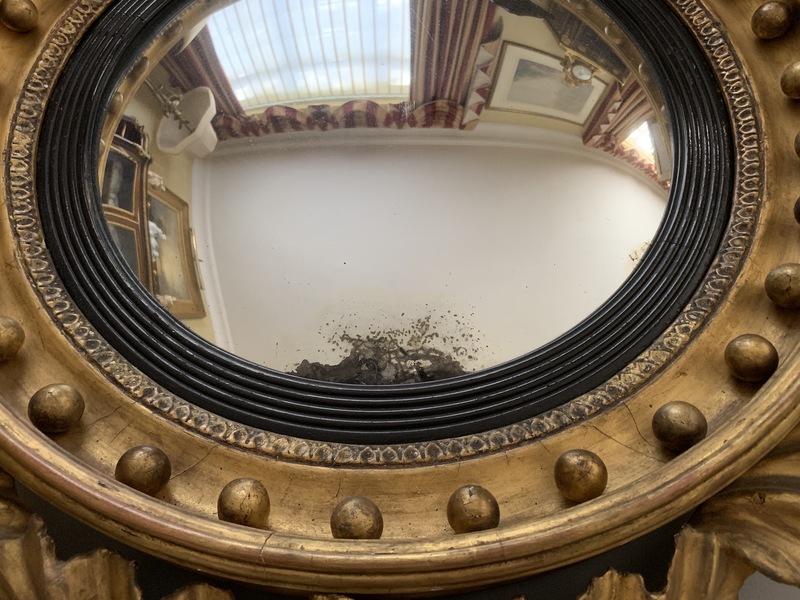 Small patch to original glass in lower left side.